If you have arachnophobic tendencies then don't read on. 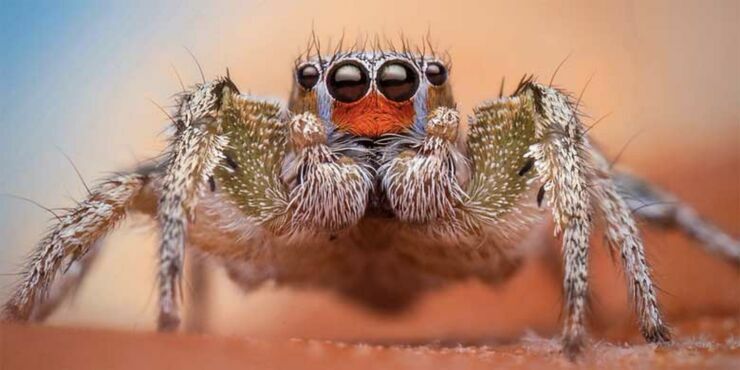 Because even if you love spiders so much you'd let one of those big hairy ones crawl all over your face, this story will turn your stomach, a classic 'NOPE' situation. It involves an Australian man called Dylan Thomas who was vacationing in Bali back in 2014. But while there he was unwell and the doctors couldn't figure out why. Turns out it was because he had a spider who decided to make his insides its home. Yeah, I know. Notice that red mark. That isn't normal. “It was as if someone had scratched me with the tip of a knife,” he told NT News. After starting off small the mark kept climbing higher so the 21-year-old went to the doctors. They thought it was just an insect bite and sent him away with some cream. Next day he woke up and it had blistered, so he went back and saw a dermatologist who said things definitely aren't right. They ended up pulling out a tropical spider about the size of a match head which had burrowed in through the scar from having his appendix out. They'll know next week what type of spider it was. Thomas seems to be taking it all very well. And it's earnt him the nickname of Spider-Man. So at least there's that. "Can i come and live with you?"